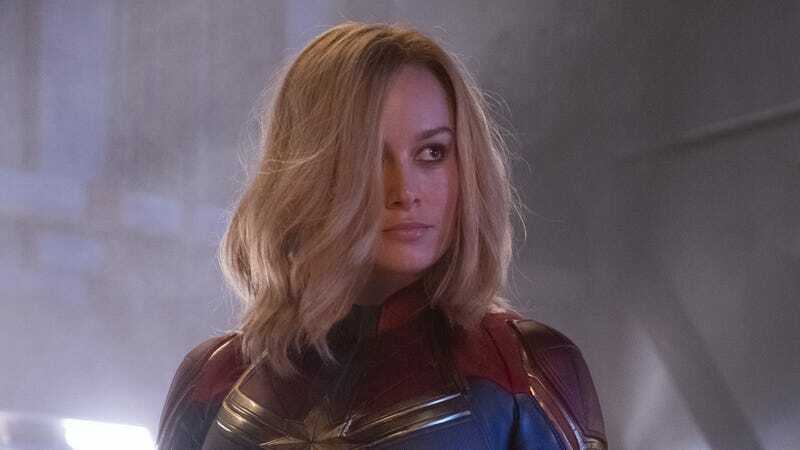 Today in “How’d that boycott work out for ya, fellas?” news: Variety is reporting that Marvel’s Captain Marvel has just surpassed the vaunted billion-dollar box office mark, making it the seventh MCU movie to do so to date. The Brie Larson-starring superpowered period piece joins the ranks of Black Panther, Iron Man 3, Captain America: Civil War, and all three Avengers flicks in the vaunted Marvel Billions Club. As with most big blockbusters these days, the majority of Captain Marvel’s revenue has come from foreign markets, with China contributing $152 million all on its very crowded lonesome. The film’s domestic total, meanwhile, is currently sitting at $358 million—still a pretty healthy chunk of Skrull-punching change.